With more than 1.4 billion users visiting every day, Facebook is definitely the largest social media platform today. That’s why marketers can’t ignore the potential reach that the social networking behemoth can give to businesses. 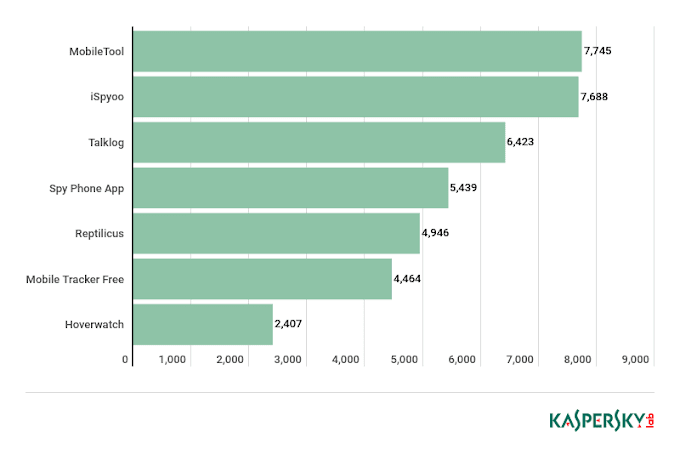 In fact, 80 million businesses have a presence on the social network, according to Facebook. Some marketers, especially those in B2B, complain about Facebook nowadays. 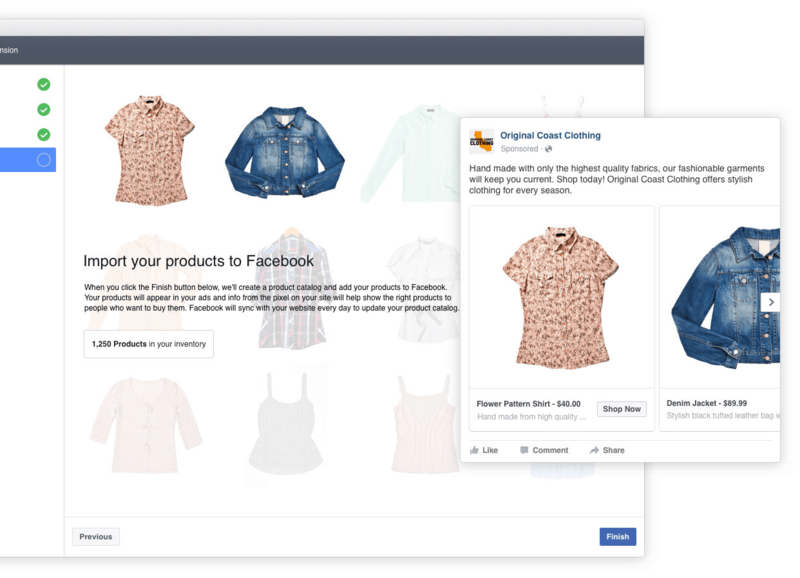 It may be good for B2C, but we’ll never see any traction trying to reach our audience personas while they’re browsing friends’ photos on Facebook. With all the algorithm changes in recent years, reach has become negligible – and pay-to-play is so competitive, that it’s too expensive. But none of that is necessarily the case. In a 2017 benchmark study from Content Marketing Institute and Marketing Profs, only 38 percent of B2B marketers named Facebook as an important channel for their content distribution success. With over 2.2 billion monthly active users based all over the world, a growing set of platforms, and communities congregating around every interest, it’s impossible to argue that there’s no value in Facebook as a marketing tool. And for B2B industries, it’s still very much an untapped opportunity. In fact, of all those users, business decision makers spend 74 percent more time on Facebook than other people – and are disproportionately engaged, to boot. How many times have you checked your own notifications this week? Yes, Facebook is crowded, but it’s that way for a reason. Facebook is a resource and water cooler for everyone, and we’re using it constantly. It’s become an ingrained part of our lives and culture. While you might want to resist it, Facebook can still be a huge benefit to your business. OK, it’s true that organic for page posts in the news feed isn’t what it used to be. Especially for reaching colder, less engaged audiences for things like brand awareness and driving traffic, the tactics that worked a few years ago will be a waste of effort now. 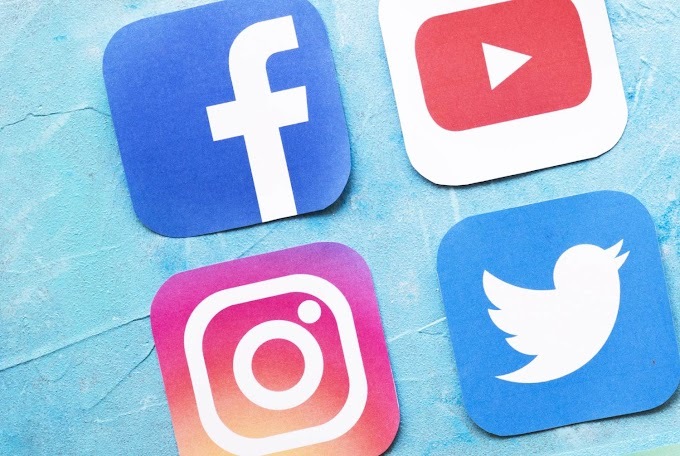 But luckily, when it comes to social media marketing, Facebook offers more than other networks in terms of alternative ways to reach your audience. Sponsored posts come with advanced targeting capabilities and options that let you reach new audiences for a brand impression or a click. For example, lookalike audiences can help you reach new people relevant to your business using your existing email list, website visitors, or customer base. 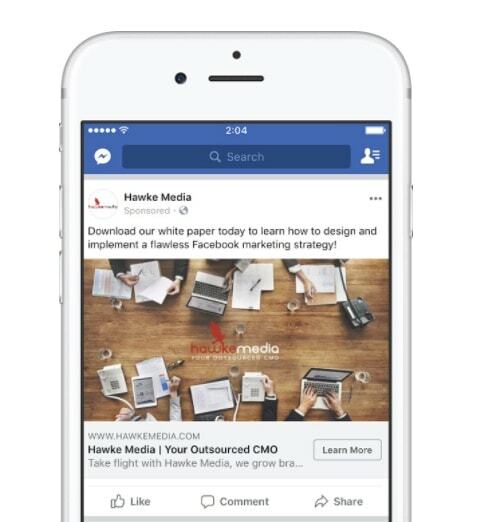 Hawke Media’s Facebook advertising strategy started with this step and brought them a 4x return on ad spend. You can also use organic methods besides your own page to reach people, such as Facebook groups and influencer marketing. These presences aren’t taking the hit that brands are in the news feed, so using them in tandem with your page can help you get your content seen. Once you’re making good use of these tactics at the top of your marketing funnel, helping to drive traffic and build brand awareness, you can start to nurture and convert your audience. Educate them about the advantages of your solution. Ready them for a sales pitch. Facebook is where your audience is spending time already, so engaging with them there makes a lot of sense. Instead of just using the network to drive traffic and leads, taking people away from the Facebook experience that they’re in the midst of enjoying, try driving conversation and actions within the platform itself. Keep your brand top of mind, making it easy to nurture your relationship. One of your best bets will be live video. 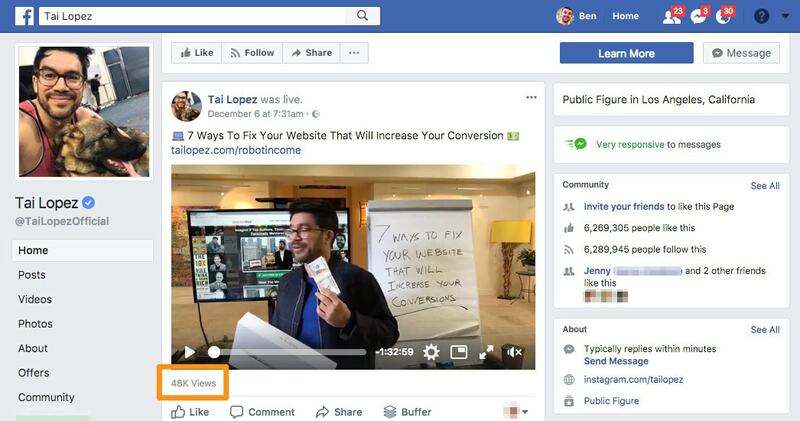 Some 20 percent of all Facebook videos are live, so marketers who experiment with this format have a definite advantage. It can be used strategically to create regular, original programming delivered directly to your audience. Take entrepreneur Tai Lopez’s Facebook page. When he goes live – almost daily, mind you – his 6.4 million followers see a notification about his content, and it gets prioritized in their news feeds. The recordings are then automatically saved in an easy-to-access video library as evergreen content, where they continue to drum up engagement and reach people to nurture relationships. So you’ve used communities, influencers and advertising to build an audience with engaging live content. And yes, Facebook can likewise be used to nurture leads all the way through to a sale – with the right setup. It isn’t even hard to create a high converting campaign, giving warm leads what they want at the perfect timing. Not when you’ve built out a funnel that leads them there. That advanced targeting mentioned earlier lets you pinpoint audiences at each stage of your marketing funnel and personalize your campaigns to their end user accordingly. Much of this can even be done on autopilot. Scale campaigns for different products. They serve them up to people who have browsed product pages – without the need to manually create campaigns for each one. Even after converting a customer, Facebook has benefits to your funnel. It’s a powerful tool for support and retention, one you can use as a service channel customers won’t hate visiting as much as they do a help desk tool. You can create organic content focused on educating current customers, as the You Need a Budget finance app does with their video content. This takes a proactive approach to customer service, addressing common customer questions to educate and empower them. Customers new and old know that they can visit the brand’s Facebook page for tutorials and answers to their questions about the app. You can also use more direct and one-on-one communication to provide customer service within Facebook. Messenger bots, purely human-driven Messenger conversations, and Facebook groups provide a lot of new opportunities in the way of talking to customers and solving their problems. Facebook made several moves recently to make groups more brand-friendly, places that your audience can come to without you first pushing out content for them to react to. Given Facebook’s renewed focus on community discussions, hosting a group here gives you the ability to build close relationships with your customers. This gives brands like CoSchedule, as seen in the above example, an added incentive to create maintain segmented user groups. Companies with groups have a direct line to their community to ask questions, glean insights, and provide support. What’s more, in groups, engaged customers have the chance to help each other. When it comes to Messenger, customer service bots let you aggregate info customers would otherwise have to hunt for on their own. 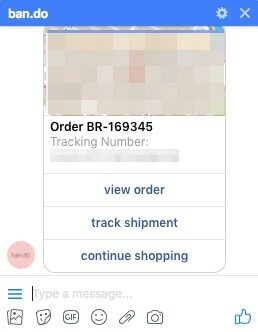 For example, customers of ecommerce brand Ban.do receive order confirmations and shipping updates via Messenger. From there, it’s easy for customers to reply with support queries, to engage with content about their products for deepened loyalty, or to tap back to the shop for more shopping. 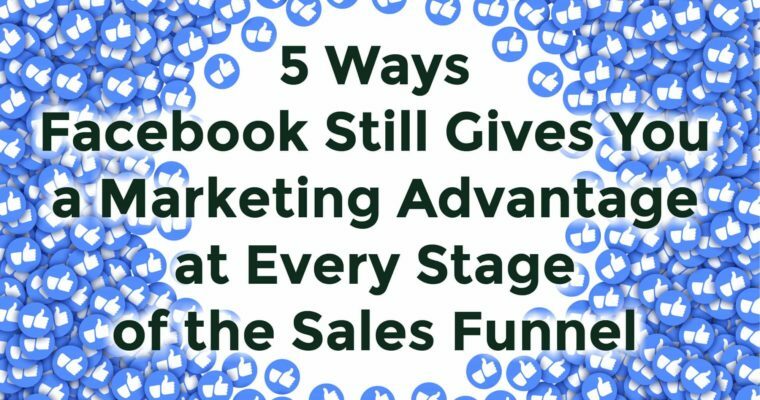 Plenty of marketers don’t want to figure out how Facebook marketing allows them to win, even though it has a clear, proven use at every stage of your sales funnel. With your audience already there, and their advertising capabilities making things easier each year, the sooner you start building out and optimizing a Facebook funnel the better.